Daniel from Tumbleweed Bike Co first called it a “Bearrito” and it stuck. Imagine a hungry bear wandering by and seeing this nice warm human wrapped up in convenient take away bag. I’d probably be delicious. I’m talking about the Outdoor Research Helium Bivy. It’s light, it’s small, I’ve never been bothered to set it up correctly. I guess there is something about such a lightweight bivy that makes me not want to carry stakes. Even the couple times I have used stakes it still sagged, so I just stopped. 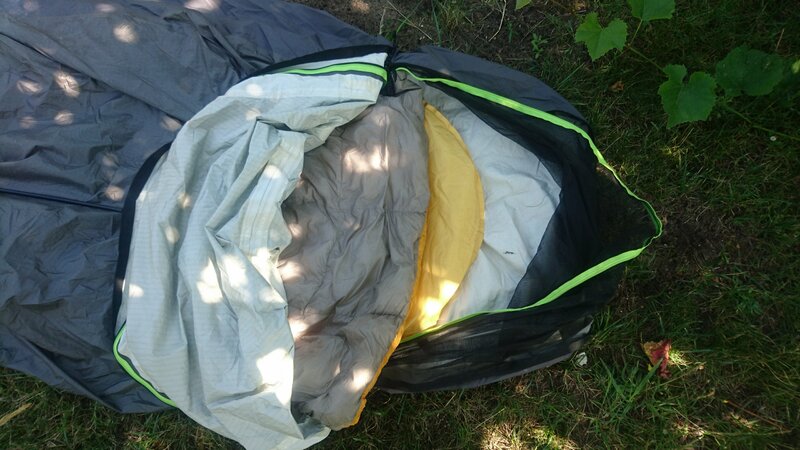 Anyhow I used to kind of loathe this bivy but in the right conditions it’s quite nice. 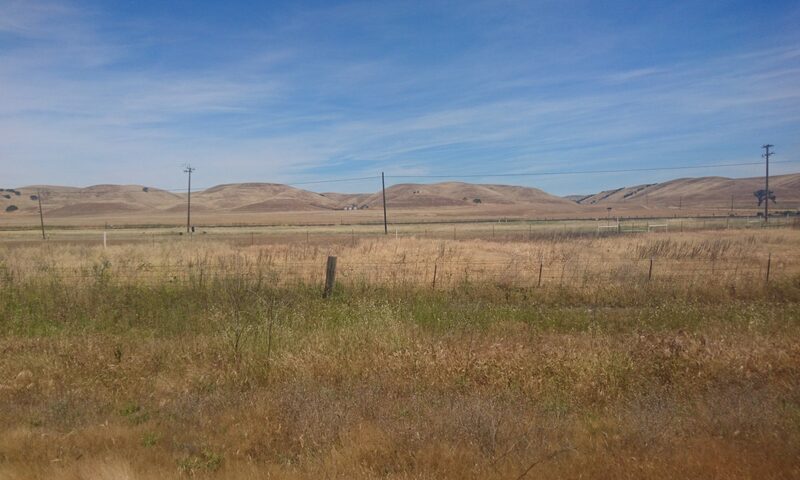 Maybe the overnight humidity of the bay area always resulted in wet legs, I don’t know but it worked quite well on this trip. Mostly it was the combo of my bag and mat that allowed this setup to shine. I’ve been using a Nemo Siren quilt and pad for a number of years now and it’s an amazing setup. The pad is thin and packs down very small for a foam core but does require a bit of effort to get it packed down. Sadly it started delaminating right before Baja Divide and I was unable to warranty it so I ended up buying something cheaper as race/time saving wasn’t a concern for that ride. But for this trip I wanted something smaller so I borrowed my partners Thermarest hollow core. 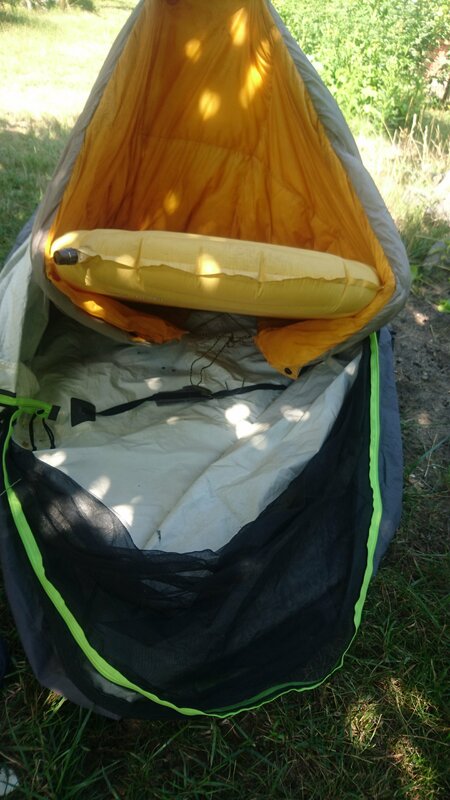 This really changed my bivy setup because now I could deflate the pad and pack everything without removing it from the Bearrito. This last picture shows the open back bag which allows the setup to pack down very nicely. 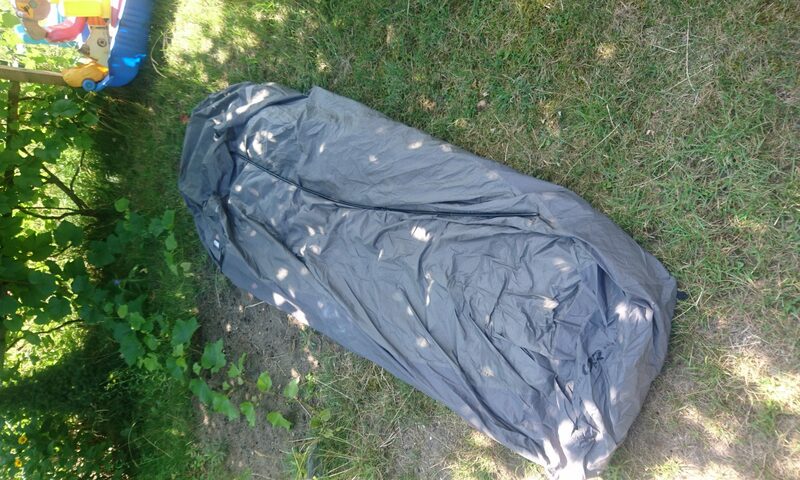 Welp, it with a bit of sadness I say goodbye to the bivy. While drunkenly complaining about it’s shortcomings I told (insisted?) Mastho I would send it to him after BTG2018. This will be a good opportunity for me to explore some other lightweight setups. I’ve never owned a single person tent so will probably head that direction. What are other folks using? 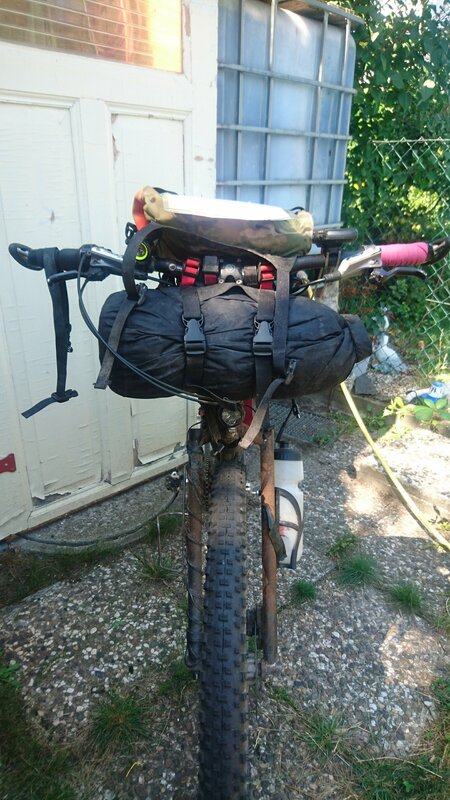 Back and Rolling with Good Habits – No Lonely Guinea Pigs on Worst hike-a-bike ever?